I love the palm print! And those colors are perfect for this season! Love it! OH!!! LOVE that print and that wrap. It is so cute and has me dreaming of the beach! I love this palm print! So pretty girl! I love Buddy Love! I just got stuff from there too and I absolutely love it. 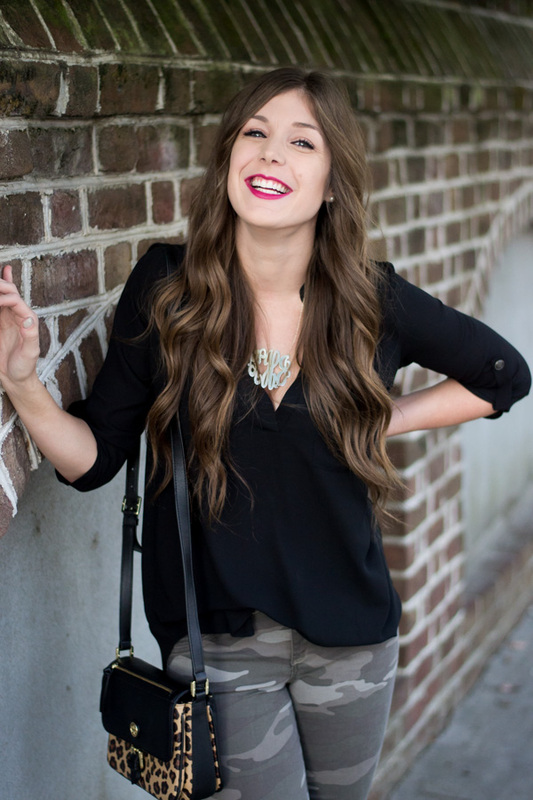 This looks great on you, Kels! I love those shoes! They look like they could totally go with just about any outfit. 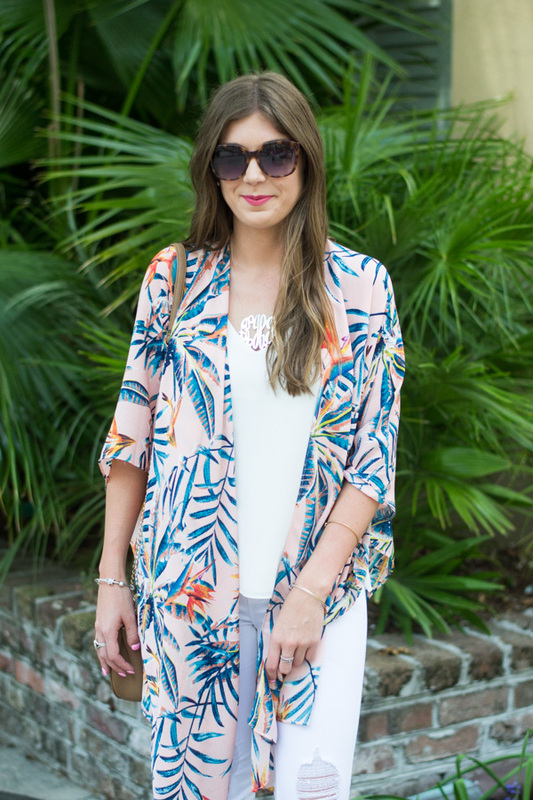 LOVE this palm print wrap and the Chloe Drew dupe is amazing! 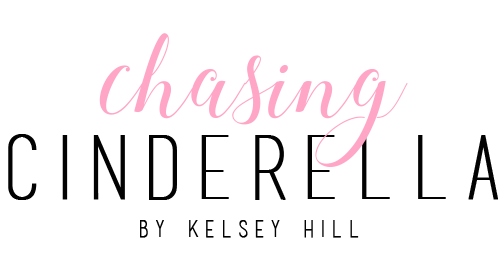 Yes, I've been obsessed with this print! Love this pretty wrap! I love a good palm print! 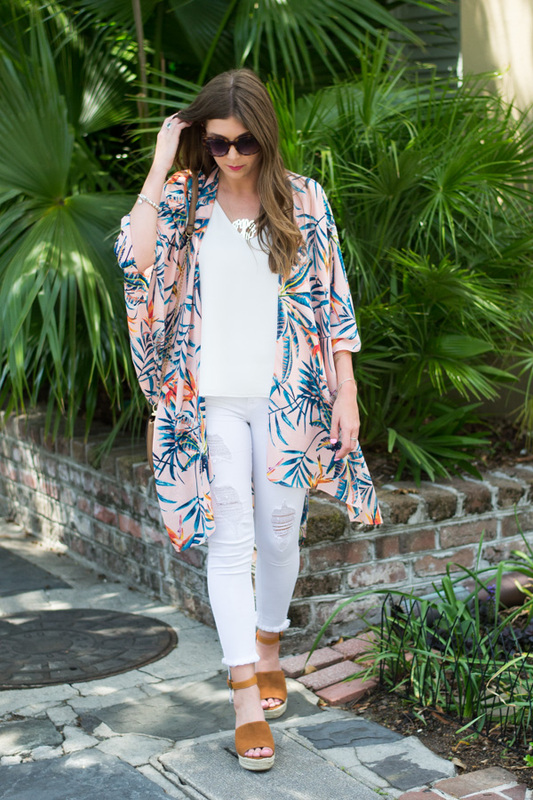 This kimono is fab! I love the colors in this wrap. So pretty! Love the palm print! The wrap is super cute with white! Great look! 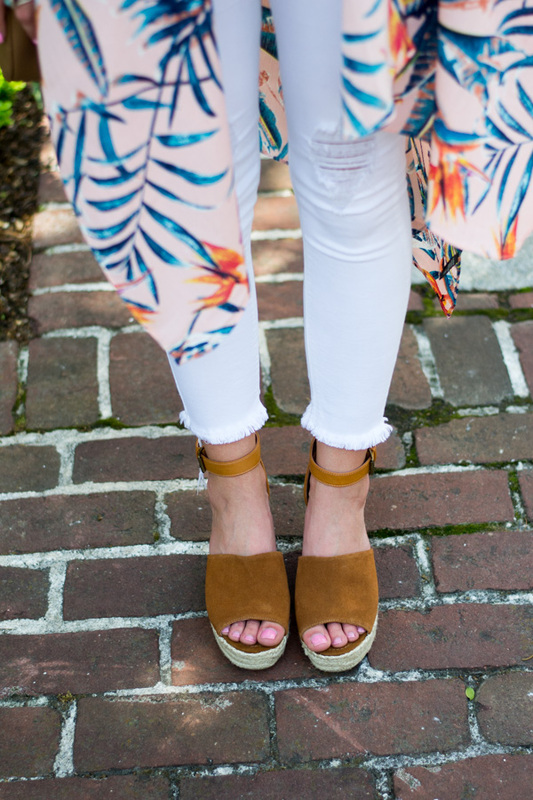 Loving the summer vibe on this look! Great wrap! I just bought those shoes and am so excited about them. The wrap is stunning babe! 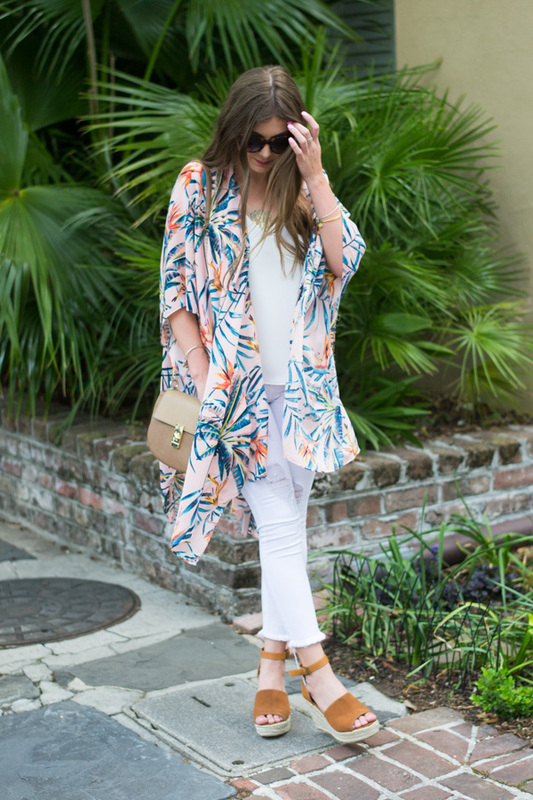 love the colorful wrap paired with the all white! Loving this outfit! 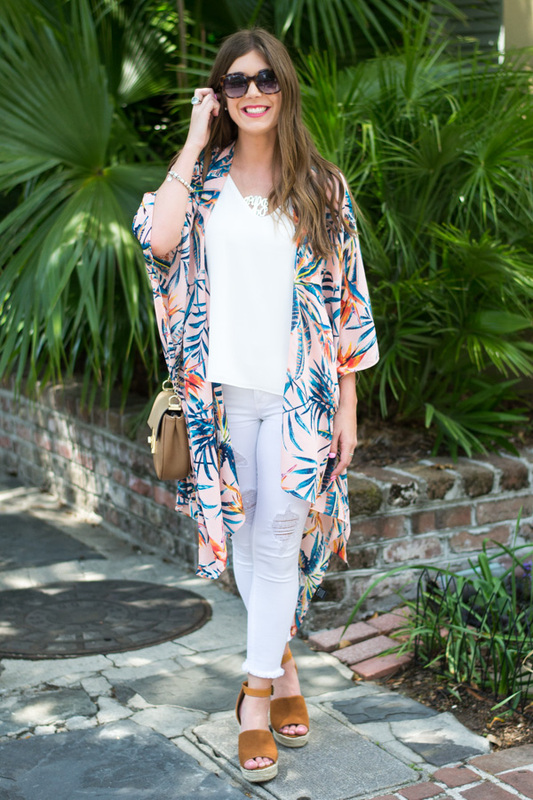 That kimono has so many fun colors in itnfor soring and summer! 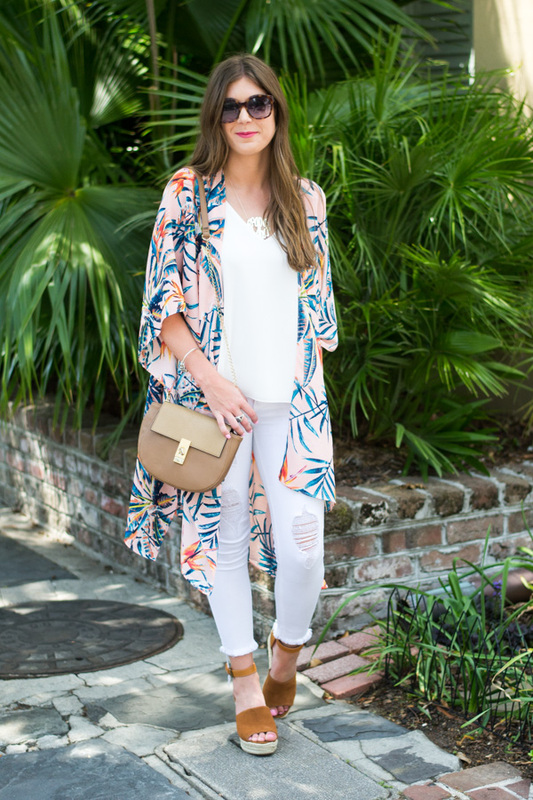 such a FUN summer outfit... love that this would make for a perfect coverup, too! 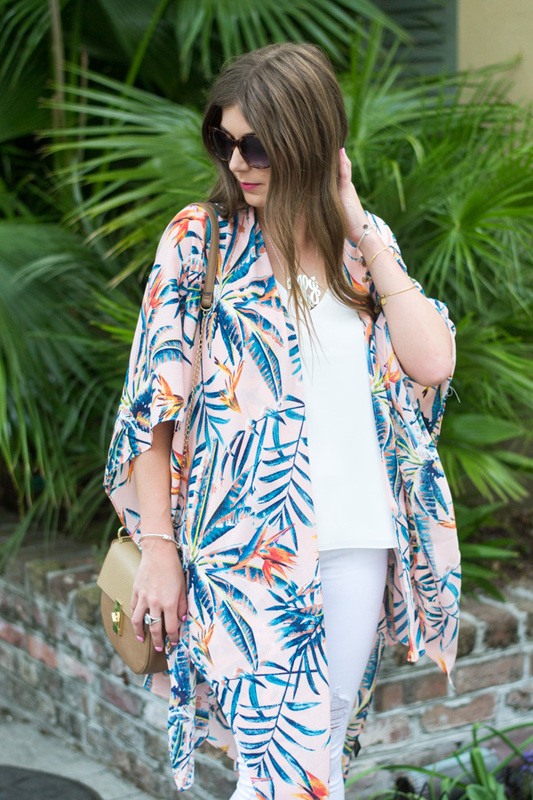 Obsessed with this palm print wrap! The color is perfect for Summer! That white on white was the perfect base for this outfit! 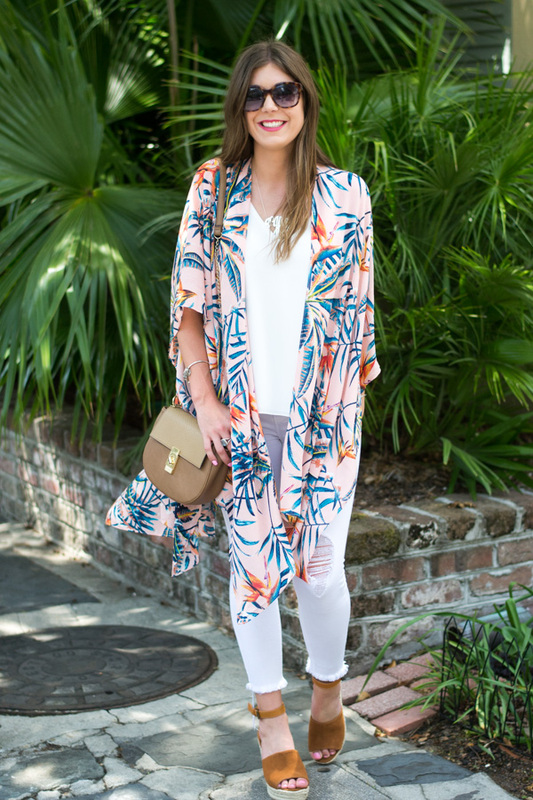 This wrap is perfect for spring! LOVING those colors!